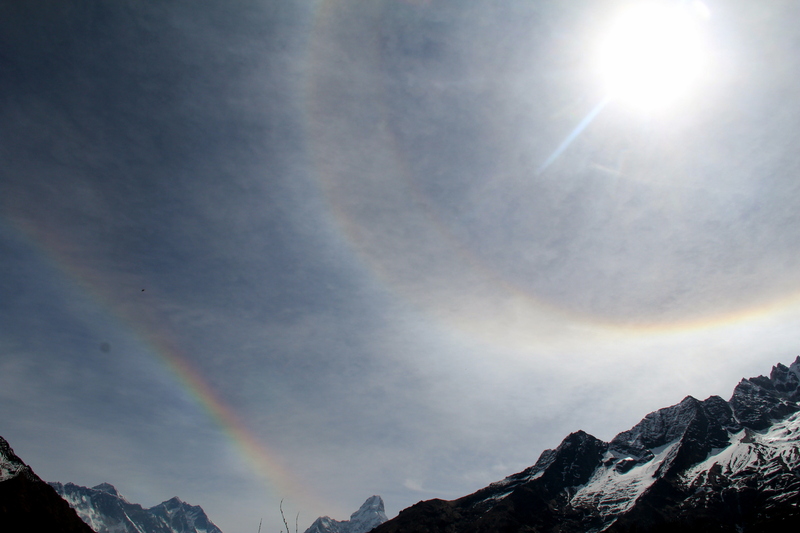 On our 4th day on the EBC trek, we left Namche at 8am and headed to Tengboche. An uphill beginning set us at above 3,500m and gave us some magnificent views of the Himalayan range and some crazy light effects. 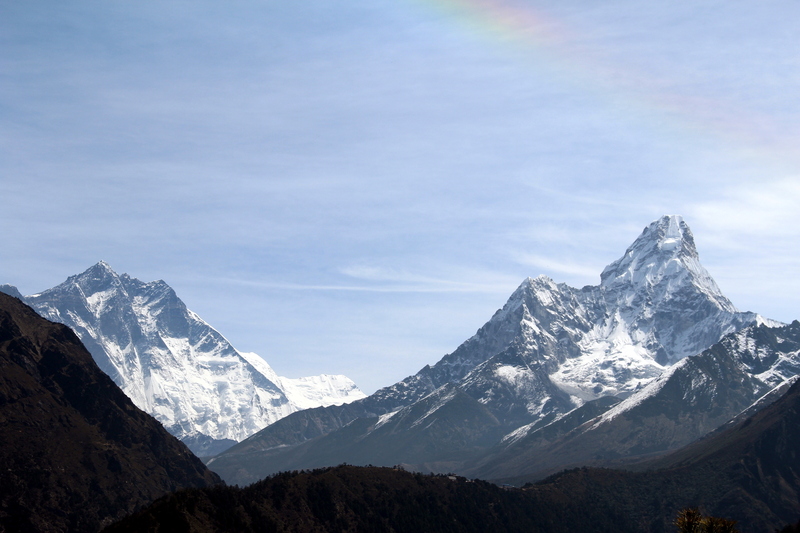 The beautiful Ama Dablam, ahead to the right, would guide us the whole morning. 1.5 hours of mostly flat trail got us to Sanasa, and 1 hour of descent put us in Phunki Tenga. Here, the restaurants on both sides of the hanging bridge were the last opportunities for food and water before the 2 hours steep climb to Tengboche, so we grabbed an early lunch. 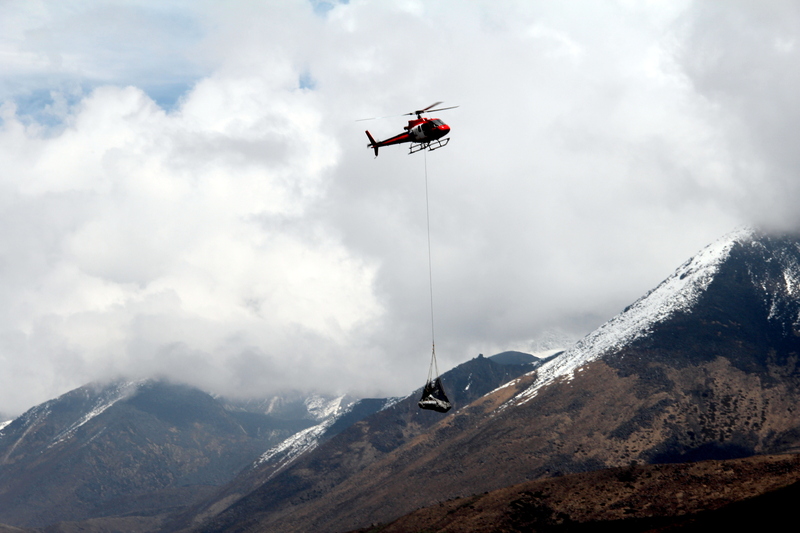 For our 5th day, we decided to take an extra acclimatization day in Debuche. 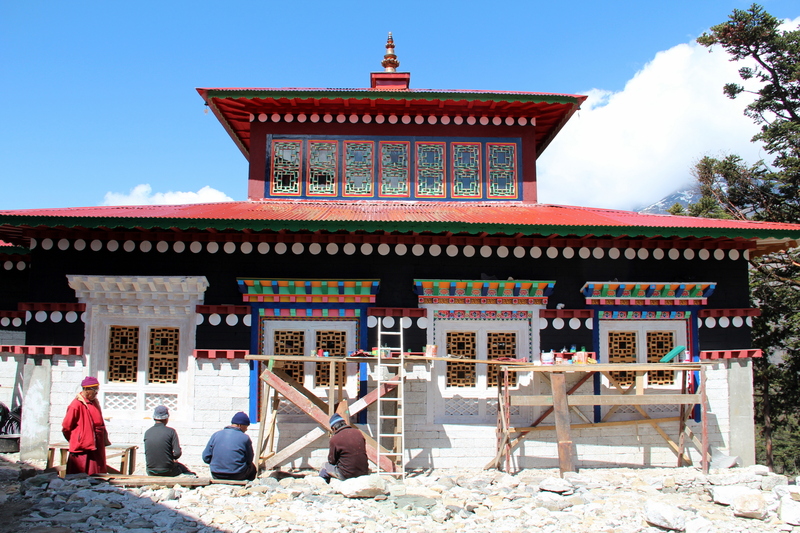 This day is not “mandatory”, as the one in Namche and the one in Pheriche/Dingboche. But if you’re opting for Dingboche for the following night (130m higher than Pheriche) and planning on skipping a night in Tukla, an extra day early on will make you feel stronger at higher elevations. 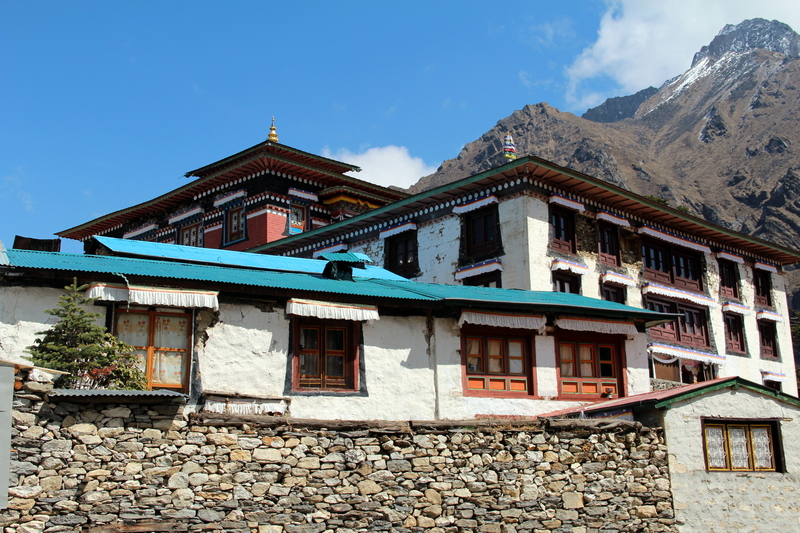 We hiked back up to Tengboche and explored the gompa. The top floor and the monks dorms would need rebuilding, but at least the lower floors and the new building, just being finalized, were salvaged. 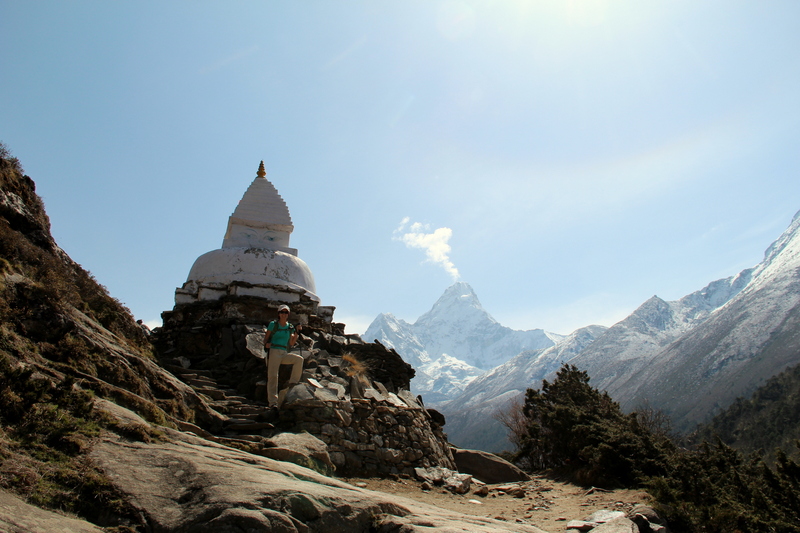 We climbed up the hill in front of Tengboche as fast and high as possible, to improve our acclimatization, then down to Debuche and beyond, and quickly back to our teahouse. It was cold, and we couldn’t wait until the owners started the dong-fueled heater. 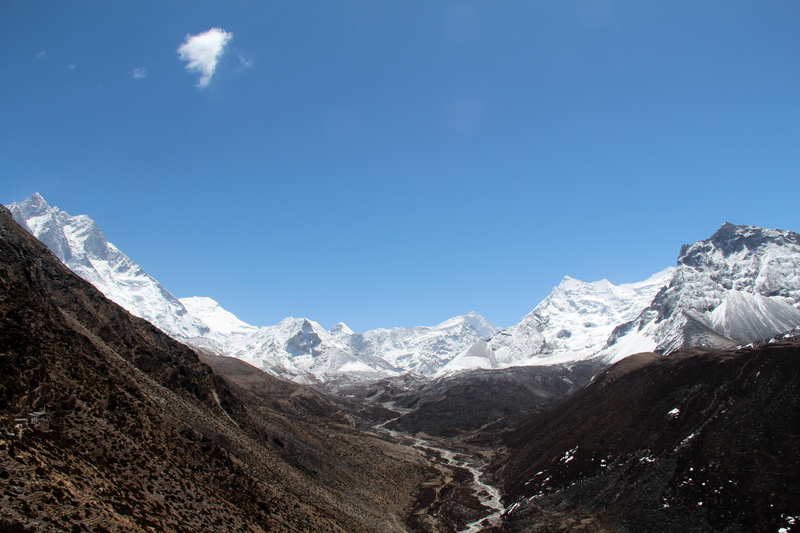 On day 6, we hiked from Debuche to Dingboche (4,530m) in a bit over 3 hours. We felt particularly strong and even Lama, our Sherpa porter, mentioned it 😉 The trail was slightly uphill, but overall less strenuous than described in guides. We crossed tree-line, entering the tundra landscape and the real cold. 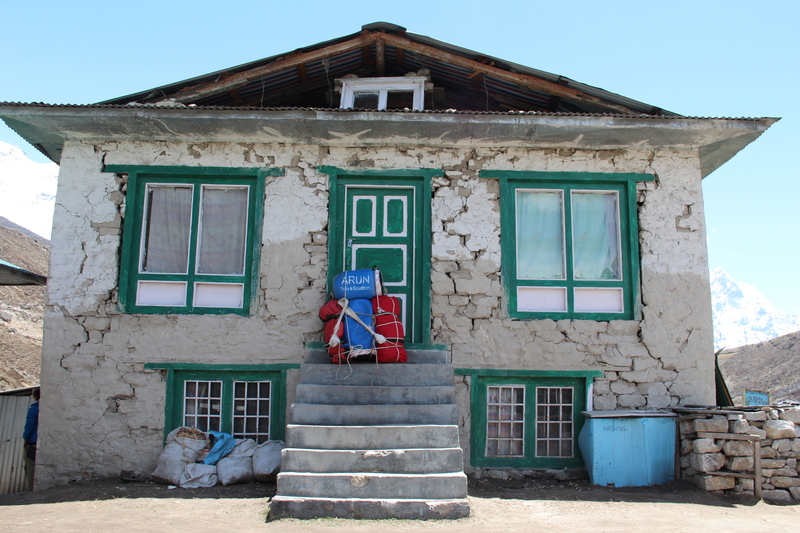 We got a room at the neat Dingboche Guesthouse, and again were the only guests. We’re enjoying the solitude on the trail, only disturbed by yaks bringing down gear from base camp. And we get other perks, such as an extra “closet” room to leave our stuff for free. 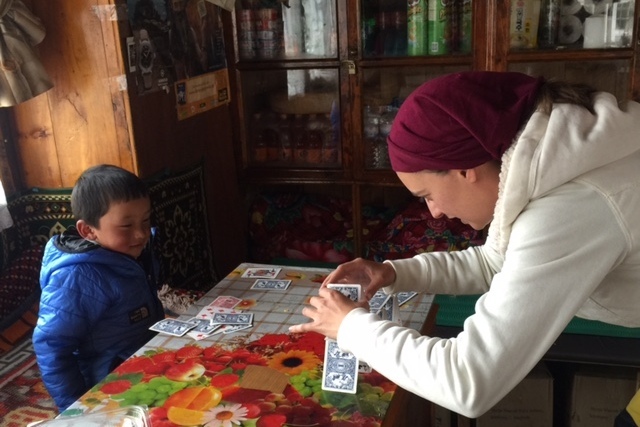 Dingboche doesn’t have running water, but has solar-powered electricity and wi-fi. This was our favorite teahouse on the whole trail, because the 5-year son of the owner, Lokba Dorje, stole our hearts. Day 7 was our last acclimatization day, which I really like because they allow you to hike and explore more freely. 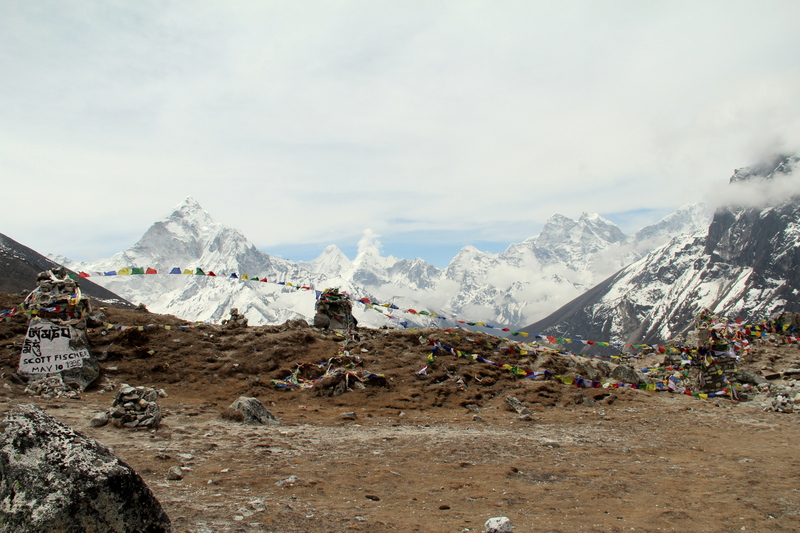 We woke up late, ~8am, and climbed the mountain behind Dingboche, passing some stupas and prayer flags. At the top, we sat down and ate some Spanish snacks (yum!) while enjoying the mesmerizing view, including Makalu (the world’s 5th tallest peak) and Ama Dablam, looking like a perfect pyramid from this angle. Then we descended to Pheriche, not being able to find the trail, we had to go cross-country down the hill several times. 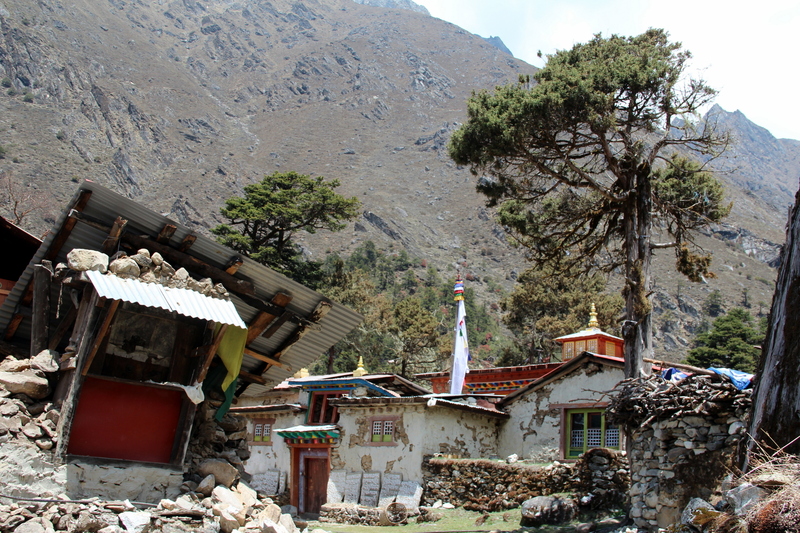 Pheriche was even more deserted than Dingboche, due to the exaggerated rumor that it had been hit hard by the quake. 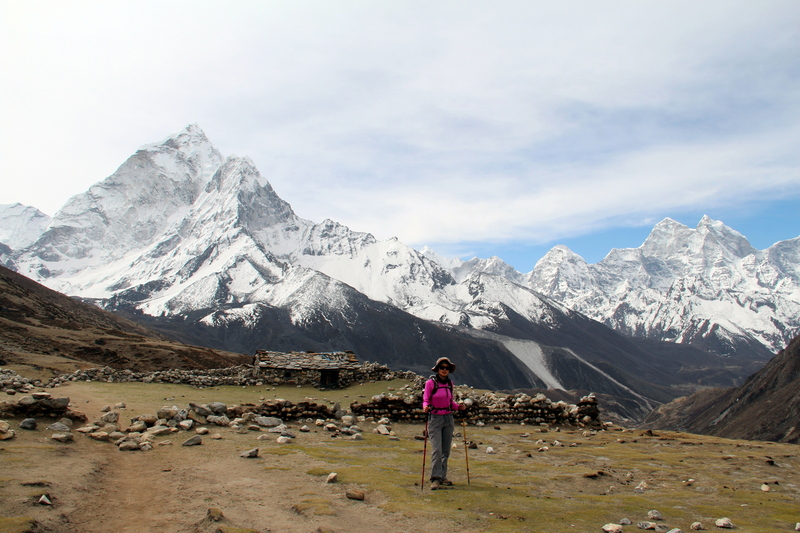 On day 8, we had to gain over 400 vertical meters to reach Lobuche (4,940m). 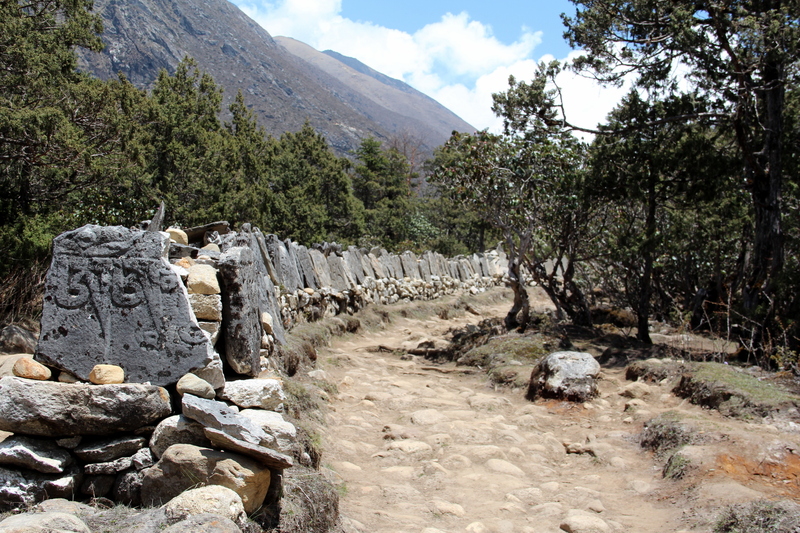 We set out early and reached Tukla after 1.5 hours of continuous moderate ascent. From there, there were some steep switchbacks, until we reached a plateau with memorials to sherpas and climbers (including Scott Fisher, from the 1996 disaster), and the best views of the day. 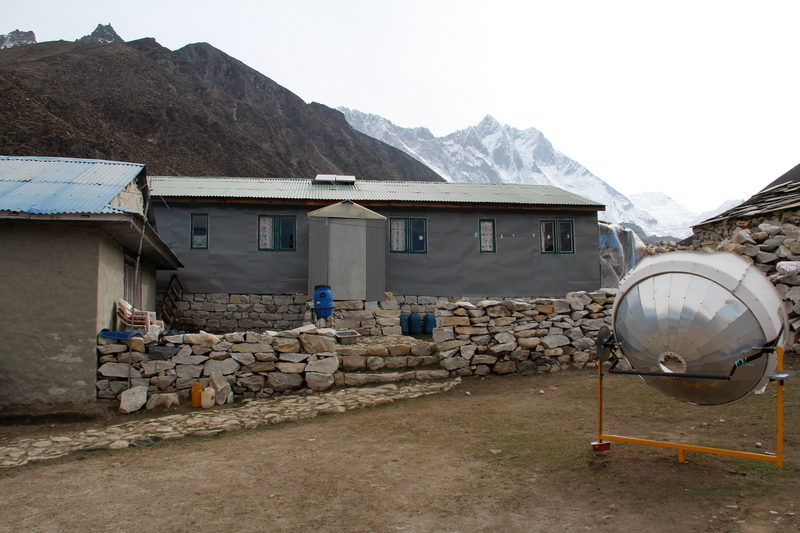 After a total 3.5 hours, we walked into Lobuche and got a room at the Peak XV (the original name of Everest) teahouse. Again, we felt strong, with no symptoms of altitude sickness. We were ready for the summit push!